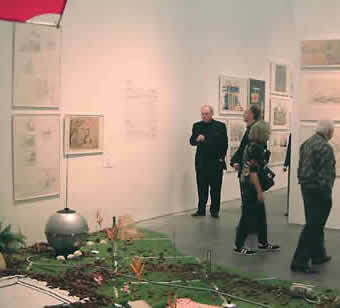 Founded in 1961 by architect Peter Cook, the experimental British architecture magazine and collective Archigram combined the distinctive visual style of the ‘60s with an interest in imaginative, playful and environmentally and socially progressive–even utopian–applications of technology. Among their inventions were a car that converts into a private relaxation cubicle, a suit of clothes that converts into a house (called The Suitaloon), The Walking City–an entire city built on mechanical legs, and a modular living unit called The Living Pod. 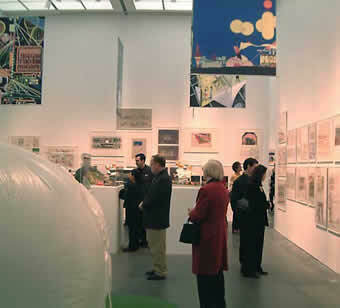 While none of their full-scale projects were ever realized, Archigram is credited with having inspired the work of, among others, Stanley Kubrick (2001, A Space Odyssey), architects Takasaki Masaharu (the Kihoku Astronomical Museum) and Renzo Piano and Richard Rogers (Centre Pompidou, Paris). They remain a significant source of inspiration for designers and architects today. 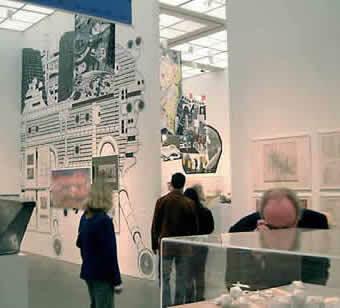 The exhibition of drawings, sketches and scale models “Archigram: Experimental Architecture 1961-1974” is an opportunity to revisit an era many of today’s viewers may not have been alive long enough to remember. 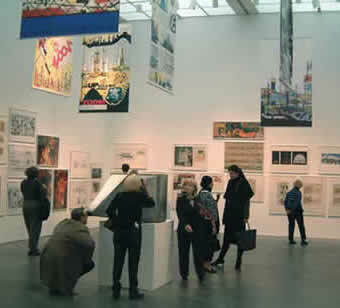 The exhibition ended its run at the Museum of Contemporary Art in Chicago January 19, and travels next to Taipei.